Ken has mentored men who have rebellious wives and he teaches them to only act in a Christian way towards their wives. We have yet to see one of these women submit or begin to be kind to their hard-working, kind husbands. Unless a woman decides to soften her heart and become the wife the Lord has called her to become, there isn’t much a husband can do about it. A continual dropping in a very rainy day and a contentious woman are alike. Whosoever hideth her hideth the wind, and the ointment of his right hand, which bewrayeth itself” (Proverbs 27:15, 16). What does the second part of this verse mean? “Whoever attempts to stop her brawls and contentions, to repress and restrain them, and hinder her voice being heard in the streets, and endeavours to hide the shame that comes upon herself and family, attempts a thing as impossible as to hide the wind in the palm of a man’s hand, or to stop it from blowing…all attempts to stop the mouth of a brawling woman does but cause her to brawl the louder” (Gill’s Exposition). “If he tries to hold or stop his wife, she escapes him like the oil which you try in vain to keep in your hand…An old adage says that there are three things which cannot be hidden, but always betray themselves, viz. a woman, the wind, and ointment” (Pulpit Commentary). It’s impossible to stop a woman who decides to be contentious (given to angry debate; quarrelsome, perverse) no matter how badly she is destroying her family. Yes, there are many women who are choosing to live in rebellion to God’s plan for them and will often use the excuse that their husbands aren’t loving them as Christ loved the Church. 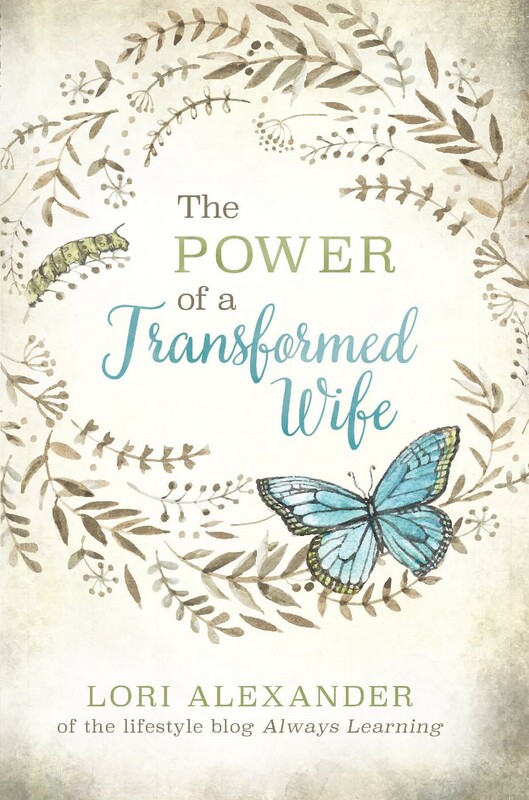 Every wise woman buildeth her house: but the foolish plucketh it down with her hands (Proverbs 14:1) If you want to be a wise woman, obey the Lord and begin living in submission to your husband’s leadership. Don’t wait until he’s the perfect husband that you believe he should be; for you will one day stand in the presence of the Lord to give an account for how you lived your life, not how your husband lived his. Thank you for sharing this today. I have been to several Christian weddings and have noticed the trend for couples to write their own vows. What is alarming about this is the omission of the word “submit” and/or “obey” on the wife’s part. I also appreciated yesterday’s post, Lori. The verse in II Tim. “…She shall be saved in childbearing…” is such an interesting portion of scripture. Its meaning is a bit of a mystery, wouldn’t you say? Yes, most wives have no desire to obey or submit to their husbands, Holly, but they like the idea of mutual submission which means their husbands submit to them! After studying the verse about being saved in childbirth and writing that post from yesterday, I don’t see it as much of a mystery. God has a created order and His order for women is to be in the home taking care of their husbands, children, and home. In addition we see so many good solid Bible teachers and Bible based family organizations teaching that a man has to continue to earn his wife’s respect. How does he do that? It is up to the wife to decide if her husband has done enough to earn the right for the respect / submission. She can give her submission / respect to other men, preachers, etc. just because of their position. Yet the husband has to continue to earn her respect the way he did when the couple was courting. By the way, I have noticed that as we have gotten further away from formal churches to more of the come as you are type churches, we no longer see traditional vows. Also, I noticed that the first words dropped and changed was the words were submit and obey. It was changed to respect and then more towards mutual submission. Since we men are marrying our sisters in Christ we are to mutually submit to one another. The ironic thing is if women really believed in mutual submission, as they say they do, then they would be submitting to their husbands regardless of whether or not their husbands submitted to them since they are responsible for their part in “mutual submission.” But they aren’t interested in it at all. They seem to be only interested in their husbands submitting to their will, just as God said in the beginning: “Her desire will be for her husband…” There’s nothing new under the sun! “Love, honour and cherish” were the words in my wedding vows. My husband and I both spoke these words when we got married 15 years ago. I had no intention of being an “obedient” wife in those days. Why do you call them solid Bible teachers or family oriented? A day will come when you will call evil good and good evil. jeff- that is actually true, in my experience. A man finds it difficult to love a woman who doesn’t admire and respect him. Men need admiration to feel manly. Without it, men DO find it difficult to love their wives. In an article I was reading the other day about men cheating on their wives, the number one reason for the affair was that the “other woman” admired the man, when his wife didn’t. To a feminist, that need for admiration makes a man sound a bit pathetic. But it’s actually true – men DO need admiration and respect from their wives to be able to truly love them. It’s so easy to see the difference in my own husband when I admire him (even when I’m watching him split wood or something equally manly) than when I’m belittling him or even just mad at him for some reason. Agree with KAK. My marriage has been better since I make sure to admire my husband and tell him how much he is appreciated. It really matters to men, I believe, to feel needed and wanted. 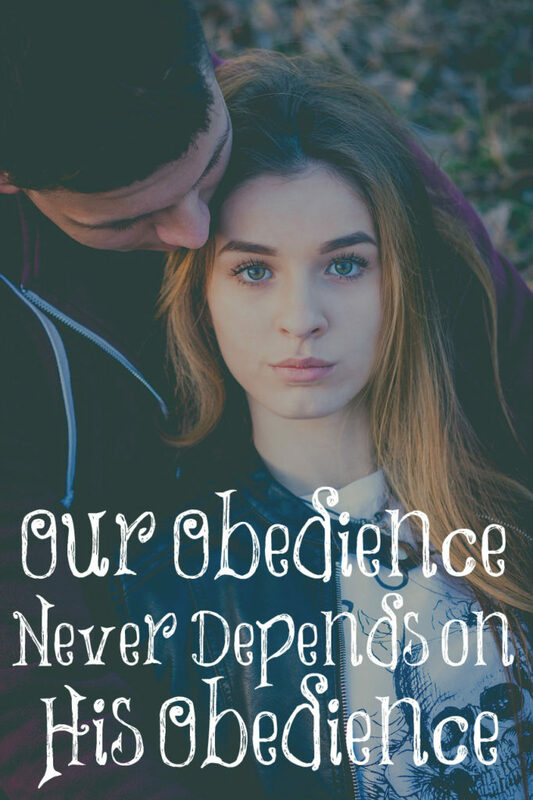 I love your point that our obedience has nothing to do with the disobedience of others. I address the 2nd part of your post here, though, with my thought: The healing of the church starts with women. I will add, if men are so bad to women like the world and church make them out to be, where are all the scriptural warnings to women about men wanting to destroy their lives? I’ve noticed none. Did God not see this coming and put them in His word? Or is it simply a false issue. When I Google search “Scriptures warning women about men” all the results are similar to these priority and actual results: “25 verses about evil women”, “47 verses about seduction,” “Proverbs warning men about female nature,” “Homewreckers,” etc. This by no means deflects the condition of men that needs infinite attention and obedience to God’s word. But I suggest that the notion that this will occur in mass BEFORE women begin to submit is simply not scriptural. Scripture does warn men about men as false prophets and as liars, thieves, adulterers, deceivers, etc. But it is not specifically charged as warnings to wives and women, as the condition of women is to men in scripture. Accepting that is learning about and accepting our Lord. And thereby receiving peace and joy.